This week's Top Ten Tuesday on the Broke and the Bookish is top ten most vivid fictional settings. Delving into unique, elaborate, and especially made-up settings is one of my favorite things about reading, so I was happy to revisit some favorite fictional settings in the making of this list. * I made up names for some of these places, so bear with me and read on if a pick confuses you. 1. 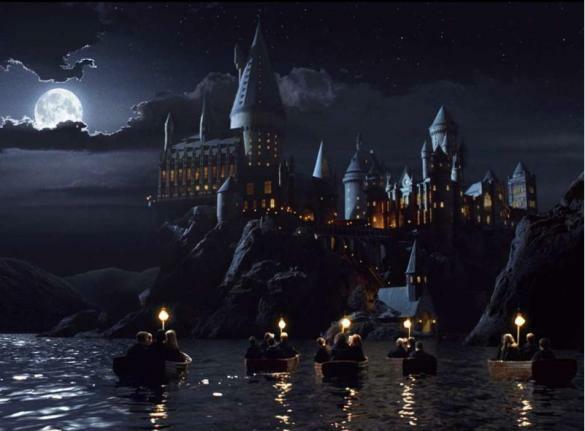 Hogwarts (in J.K. Rowling's Harry Potter series). I'm sure this will be the favorite choice of the week. 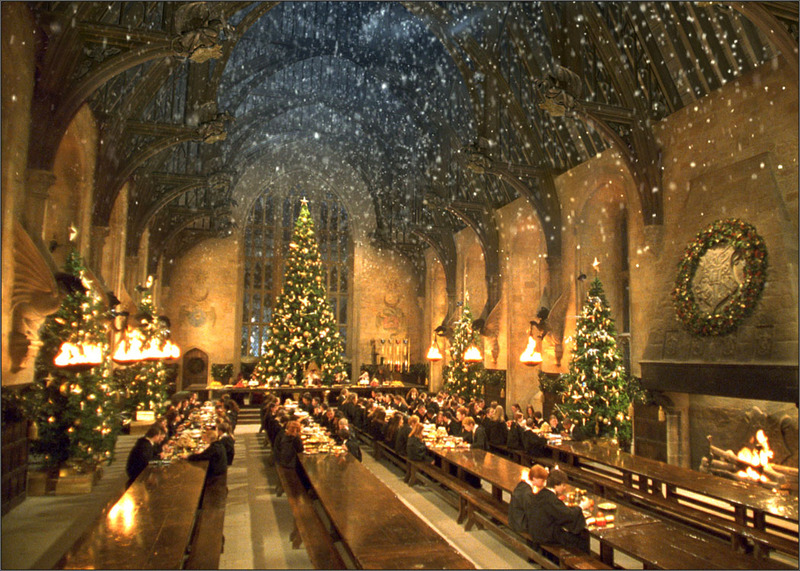 How can you read Harry Potter and not want to visit Hogwarts or any other part of Rowling's magical world? It's so intricate and amazing. 2. Sarah Waters's Victorian London (in her novels Fingersmith and Affinity). Whether we're in a nearby country house, a women's prison, or the lair of a pack of thieves, Waters really immerses you in the setting. Her descriptions and dialogue are wonderful and really throw you into every aspect of historical England. 3. Chuck Palahniuk's Dirty World (in his novel Fight Club). This is one of the few examples on the list that while I didn't like it, I did find it incredibly vivid. Gross? Yes. Appealing? No. 4. The World of Lost Things (in John Connolly's The Book of Lost Things). Scary, magical, full of twisted fairy tale characters, this kingdom is haunted by one of the most creepy villains I've had the misfortune of meeting- the Crooked Man. 5. Neverland (in J.M. Barrie's Peter Pan). The world of children who won't grow up. How could it be anything but fun and full of adventure? Captain Hook and the pirates, the mermaids, the Indians, the fairies, and of course the flight from London to reach it. 6. Wonderland (in Lewis Carroll's Alice in Wonderland and Through the Looking-Glass). A rabbit with a clock, tricky foods, a kingdom of playing cards, painted roses, talking flowers, an un-birthday party, a smiling cat, and so much more. And of course, the movie versions of this wonderful book help bring the crazy world to life. 7. Kingdom of Wisdom (in Norton Juster's The Phantom Tollbooth). One day, a magical tollbooth takes a boy into the Kingdom of Wisdom, where he gets caught up in the place's history and finds himself traveling through it in a quest to rescue the princesses, Rhyme and Reason. Full of humor, clever metaphors, and charming characters, the kingdom is the perfect place for bored Milo. 8. Panem (in Suzanne Collins's The Hunger Games). Part outlandish and gaudy, but mostly filled with impoverished districts, it's easy to picture Collins's dystopian world. Mostly though, I love the stadiums, which can changed on a whim by the game-makers. Can't wait to see what they do with the clock-themed Catching Fire stadium in the movie next year! 9. Tara (in Margaret Mitchell's Gone with the Wind). We get to see both sides of Tara: her glory days as a slave plantation and her downfall during the war. Scarlett isn't at Tara for most of the book, but it's the place she loves most and wants to take care of. And of course it's always interesting to see past versions of America. 10. Le Cirque des Rêves (in Erin Morgenstern's The Night Circus). I can't wait until this comes to the big screen! I really enjoyed the book, but rather than most loving the characters or the plot (which is usually the case), I loved the circus. Black and white, only appearing at night, filled with magical tents. It'll be amazing to see it come to life! Did I leave out your favorite? Have any suggestions for other novels with vivid settings? Let me know! I hadn't heard of Sarah Waters or her books before reading your list but now I'm definitely intrigued- thanks! I agree that it is interesting to see past versions of America. Margaret Mitchell really did a great job showcasing Tara in it's prime and then in it's downfall. The Night Circus definitely will be fantastic as it is brought to the big screen! Great choices! Definitely Le Cirque des Rêves, Panem, and Hogwarts would make my list as well. I totally agree about the Sarah Waters books! She really does a great job at bringing a historical time/place to life. And how did I not think of Neverland or Wonderland in my TTT?! Good list. I love Hogwarts and Wonderland as well.